Join the Great Host in battling the unnatural beings that threaten not only the Mirror World, but your realm as well. Become an Angel of Death before the Undead, no Ratio, and Black Ice armies with the ConQuest Warcrafted Armour. 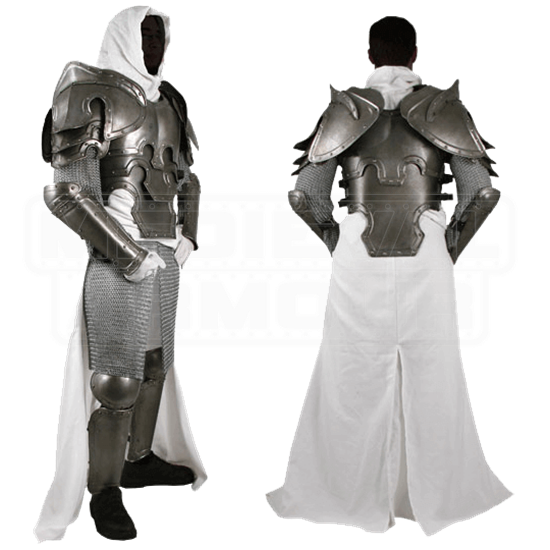 Fashioned from 18-gauge galvanized mild steel, this armour package includes the two-piece cuirass, pauldrons, arm bracers, and greaves. The spaulders feature stylized sword-breakers and edging that creates the look of angel wings. The layered, intricately detailed cutouts on the breastplate and backplate contribute to the fantasy theme. Each arm bracers possesses an attached couter, providing protection for the elbows. The greaves with poleyns guard the knees and lower legs. Adjustable leather buckle straps secure each piece, and create a customized fit. Fulfill your role as an Angel of Death with the Conquest Warcrafted Armour. 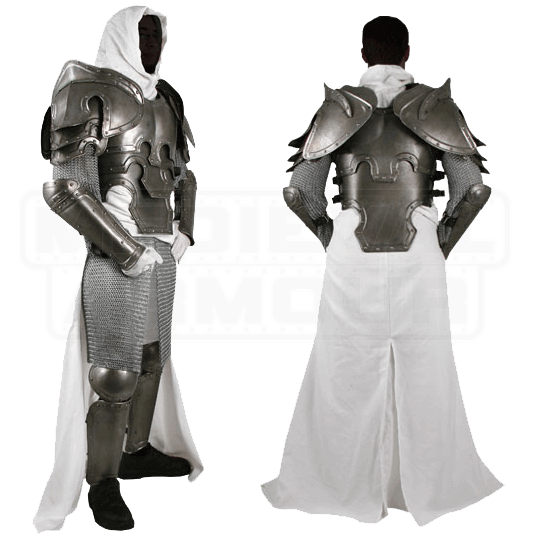 Suggested Chest Size for Cuirass: 46 to 56 Inches **Keep in mind, if you are wearing a Gambeson or Chainmail to take your measurement while you have your gear on. Really nice look. Stout and well made armour. The chest restricts movement towards the center of your body though.Solving this would require opening the arm gap towards the front as little as half an inch. Finally was able to get this armour which I've been eyeing for years. In short, it is worth every cent. It is beautiful and well made. Actually quite comfortable and light.